Winter finally came to a close as far as the calendar is concerned. We are still in March and had some more snow after experiencing some great warm, above average temperatures for about 2 weeks. People are anxious to get to there Spring projects, even though it is quite early to start digging in the ground. It is a great time to do some tree pruning. A good rule to follow for the safest time to prune trees is as long as the month has an “R” in it, then it is safe. Pruning shade tree this time of year also allows you to see the true branching of the tree. I recommend pruning lower limbs up to about eye level. This will allow walking below trees easy. Evergreen trees are pruned to maintain 1 dominant leader & prune off anything irregular. The photo above is a Balsam Fir planting we completed last year. These trees were placed so that they will eventually provide some privacy from a neighboring property. Arbor Hill Tree Farm is completing our pruning for the year and will soon be out in our fields burlapping trees. If you have a project in mind for the Spring & are in need of some trees, we are currently taking orders. Customers can contact us to come out & walk our fields to select trees if they wish, or we can select trees for them. As soon as weather permits, we start planting trees at customers sites. Typically end of April. For much more information on our products, pricing & services Arbor Hill Tree Farm offers, please review our website or contact Jerry at 651-245-7978 or email us at jerry@arborhilltreefarm.com. This entry was posted in Uncategorized on March 23, 2015 by Jerry. Arbor Hill Tree Farm will be an exhibitor at the Minneapolis Home and Garden Show again this year. Take a break from the cold, get some excercise & get inspired for a spring or summer project. We will be in the 900 isle, a short distance off innovation avenue. We will be displaying a large Balsam Fir & an Autumn Blaze Maple. 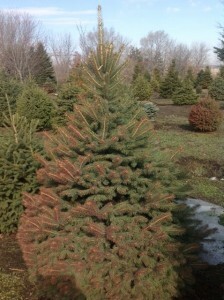 We will also have our updated price list and flier on our Spring & Show Tree Specials.http://www.arborhilltreefarm.com/coupon.php Hope to see you at the show. This entry was posted in Uncategorized on February 17, 2015 by Jerry. 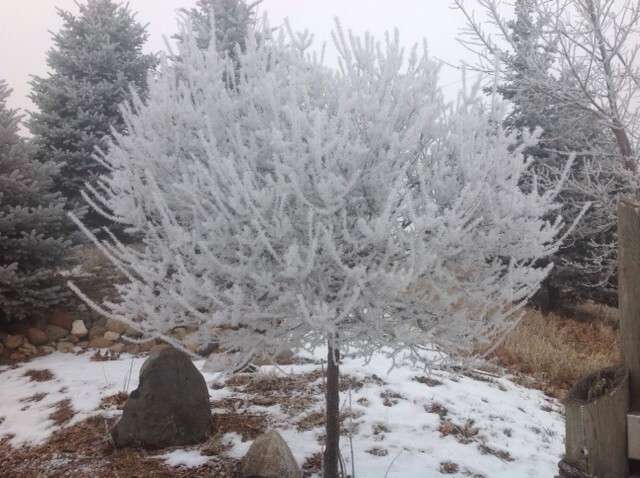 The Korean Dwarf Lilac tree, shown here in Summer & Winter, is a great addition to your landscape. 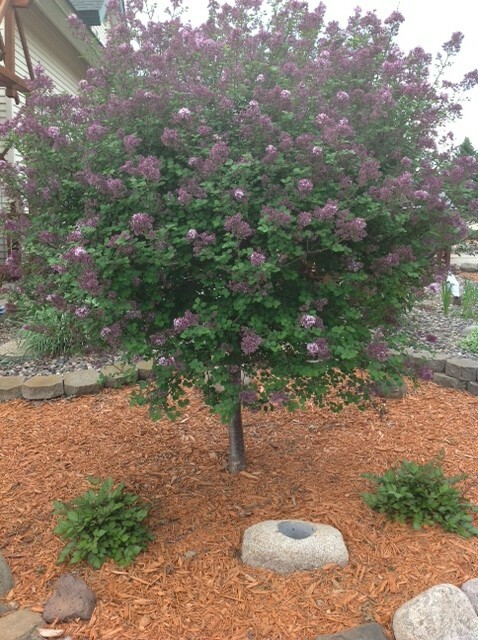 This is a tree form of a Lilac. 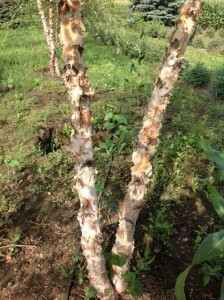 It is produced at the nursery by grafting a branch onto a tree stem or standard. It has a very rounded shape, getting about 6 ft in diameter by 8 ft tall. To keep a nice shape, prune yearly after the flowers are done. The flowers are a typical purple color and extremely fragrant. Birds like making nests in this tree because it is very dense. Arbor Hill Tree Farm sells this tree potted or burlapped. Bailey nurseries has also produced a similar tree using a Miss Kim Lilac. That variety has a bright pink flower and is called Tinker Belle. As you can see by the picture on the right, the Ivory Silk Lilac Tree can be very attractive in the cold of winter when nature paints it white with frost. I have found this tree to be extremely hearty in Minnesota and very easy to grow. This entry was posted in Uncategorized on January 27, 2015 by Jerry. Winter came very early this year bringing bitter cold & snow before Thanksgiving. Now we are having way above normal temperatures. The unique warm, wet, sometimes foggy weather has made for some beautifully naturally decorated trees. I took several photos & wanted to share a few. This entry was posted in Uncategorized on December 15, 2014 by Jerry. Thanksgiving is once again almost here. As we prepare for our upcoming holidays & Christmas Tree Sales, I would like to say thank you very much to all our many customers for 2014. We have had another year where our sales have grown by about 15%. We appreciate all our new customers as well as our repeat & referral sales. We look forward to next year. As always this year we clean out our barn to make room for our Christmas Tree Display. We have Fraser Fir trees from 6 to 11 feet tall. We also have some Spruce Trees available. This entry was posted in Uncategorized on November 26, 2014 by Jerry. Arbor Hill Tree Farm’s newest purchase for moving & transplanting trees. We are able to transplant evergreens up to 12 ft tall or Shade Trees up to 5 inch diameter. 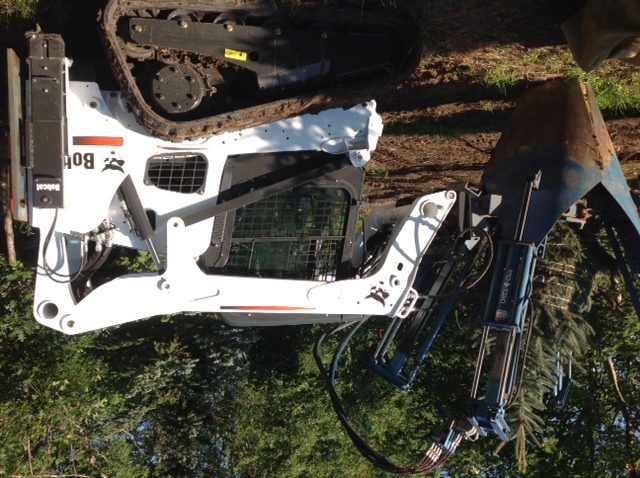 The new T650 Bobcat is equipped with tracks to minimize turf damage. We can put on a 36 or 48inch diameter tree spade. This is in addition to our existing truck mounted 90 inch diameter Big John tree Spade. Check out our web site Tree Spade Page at http://www.arborhilltreefarm.com/tree-spade-transplanting.php for more information. This entry was posted in Uncategorized on September 27, 2014 by Jerry. A very hearty, native & popular tree for Minnesota. 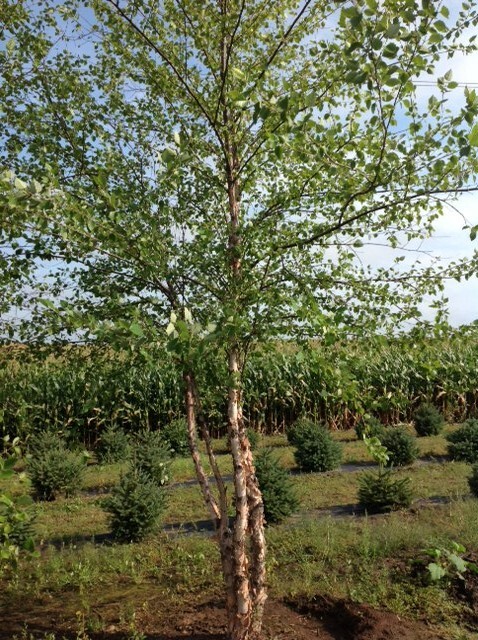 The River Birch is most common sold as a Clump form, but can also be purchased as a single stem tree. The River Birch loves water, so is very tolerant of heavy, excessively wet soil. It likes full sun. It is a very fast growing, large tree at maturity. The bark is off white to brown in color and has a peely look to it. The picture to the right is a close up view of the River Birch bark. 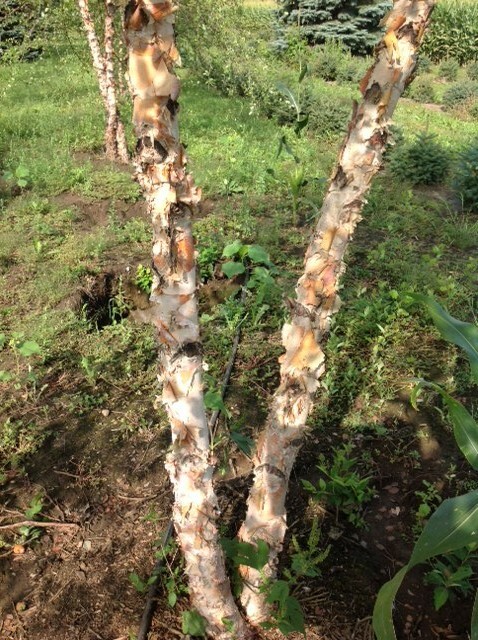 As the tree gets larger the bark will turn a darker color. The River Birch has a lot of roots. When it is transplanted it requires a lot of water to compensate for the root that was cut off for transplanting. The picture below illustrates how much root reestablishes in a short time. This tree was dug & burlapped in early May. The tree was placed in a holding display area & watered regularly. 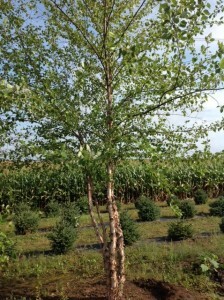 A customer purchased the tree in late August. The tree had to be re tree spaded for transplanting purposes. You can see that the tree grew approximately 2 feet of root in those few months. 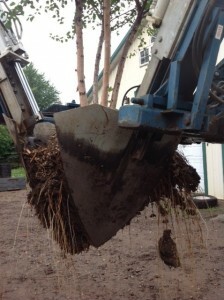 If you have a River Birch in your landscape water frequently. I believe it is impossible to overwater. A sign the tree wants more water is leaves turning yellow and falling off during summer months. In the fall the leaves normally turn a yellow color and shed.Always plan for the future on this tree and others. Give them plenty of room to grow. This entry was posted in Uncategorized on August 31, 2014 by Jerry. Newly planted & existing trees in Minnesota require watering, especially in the warmest days of the year. When a tree is transplanted, some root structure is cut off. The first 2 years after transplanting, trees require care weekly. The object is to help the tree reestablish the root that was cut off. Most balled & burlapped trees require approximately 20 gallons weekly. By running a garden hose at a trickle amounts to about 5 gallons in 5 minutes. So 20-30 minutes a week will provide the water the trees need. This is just a general rule. Excessive temperatures, extreme heavy soil , type of tree will affect how much to water. In the warm summer weather, if a tree is dropping leaves, it is definately telling you it is not getting enough water. The first response of a tree to a dry condition is to drop leaves. This is a survival instinct. For more detailed or specific questions on any tree, please contact me by email or phone. Just a little care early after transplanting will allow the tree to thrive as well as survive. This entry was posted in Uncategorized on July 29, 2014 by Jerry. As you may have noticed, we are experiencing a signifigant amount of rain this spring. Although the moisture is great for the trees, it can be a chore to get into finished sod sites to plant trees without damaging finished sod. 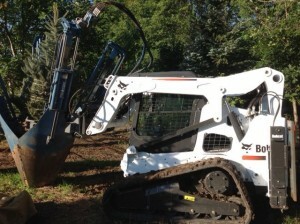 We have invested in a great machine to help us plant trees in situations like this. 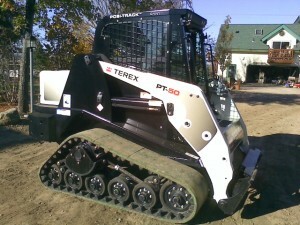 The Terex with a turf edition track was originally developed by ASV. The advantage of this machine is it is only 5 ft wide and has smooth rubber tracks 18 inched wide. With this equipment we are able to get into tighter spots, planting evergreen trees up to 12ft tall or shade trees up to 5 inch diameter. Even though today is the last day of spring, Arbor Hill Tree Farm has thousands of trees ready for planting. Come out and take a look. This entry was posted in Uncategorized on June 21, 2014 by Jerry. Now that the snow melt is almost complete, I have been walking through the fields getting ready for Spring digging. One thing that is very evident on some trees is the toll a harsh winter can take on evergreen trees. What the picture is showing is called Winter Burn. Basically what has happened is the long cold winter, strong wind & sunlight has been harsh enough to dry out some outer needles, causing the needles to turn brown. The degree of browning of the needles varies on each tree. 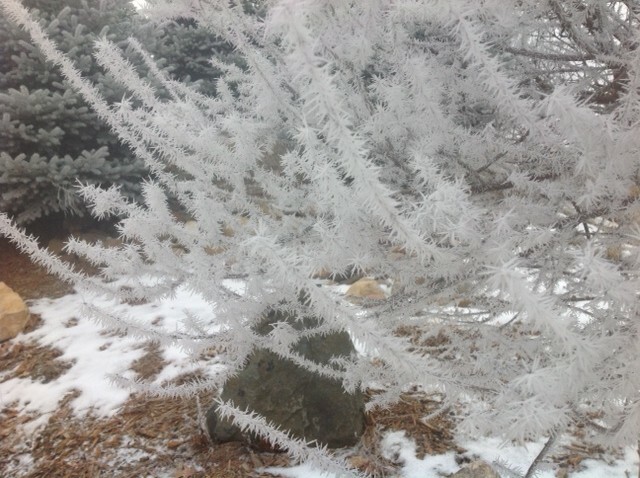 Some factors that affect how severe the winter burn is on each tree are species of tree, location of the tree on your lot & how much moisture was in the ground around the tree when the ground froze.The good news is as the new growth comes on in the Spring, the brown needles will fall off and the tree will get its true, beautiful color again. 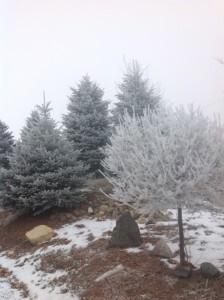 To try to avoid a severe winter burn in the future for evergreen trees in your landscape do these 2 preventative measures. 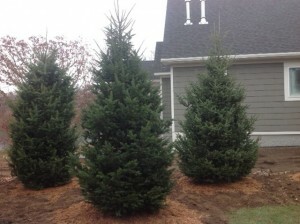 Fertilize your evergreens with a fertilizer specifically made for acid loving plants during the spring & early summer. Follow label directions. Also make sure you thoroughly water evergreens in late fall. Evergreens take in moisture all winter. This should help reduce or eliminate winter burn. This entry was posted in Uncategorized on April 7, 2014 by Jerry.